ZOE establishes a new world record. 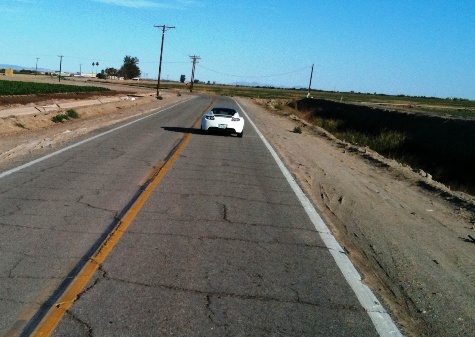 This is the greatest distance covered in 24 hours for an electric vehicle serial. With 363 laps loops ring Aubevoye speed, distance reached is 1618 km, improving 25% the previous record established in 1280 km. ZOE improves by 25% the previous distance record of 24 hours for an electric vehicle serial. ZOE and demonstrated its performance, reliability and validates the relevance of autonomy best in class and its revolutionary charger Cameleon. ZOE has already already available on booking renault-ze.com, VIP content are reserved to these first customers. Aubevoye Friday 1 June 2012, 16h. Renault ZOE Two soar on the ring gear CTA (Technical Centre Aubevoye). Driving fifteen drivers from Aubevoye, Cleon, Sandouville, Flins, Douai and Grand crown take turns, alternating rollings and refills. 24 hours later, the two ZOE pass the finish line with 1618 km and 1 506 km to meters. Both models have fulfilled their contract by demonstrating performance and endurance. To achieve this performance was, ZOE has benefited from a major breakthrough: the Cameleon charger. Inedite This allows a global first ZOE recharge on any type of socket and accepts all amperages. ZOE was therefore able to benefit from the rapid recharge 43 kilowatts to recover 80% of battery capacity in less than 30 minutes only. This challenge has also been made possible thanks to the NEDC autonomy of 210 km (100 to 150 km in real conditions, depending on conditions of use), the best in its category. In total, the 18 finalist ZOE will be done fast recharges in 24 hours. "This is a great adventure, technical and human. This victory is the result of a very large mobilization was able to enhance the quality of Renault electric vehicles, "enthuses Bernard Dumondel, Director of Customer benefits electric vehicle and conductor of this challenge. Beyond performance, established in the presence of a bailiff and pending in the Guinness Book of Records, this record allows to answer the question: how far can ZOE go? "We have done this in two months. In April, we started calculations to check the feasibility with the teams of the Directorate motorcycle electric powertrain. From early May, we started the "runs" on track, and established a strategy. We decided to keep the car in series without modification. We were confident and we were right, "recalls Philippe Vinot, Driver reliability / durability. The launch of Renault ZOE marks the beginning of a new era, that of electric mobility accessible to everyone. This is a big step for the automotive and Renault 110-year history has been innovating with the strong desire to democratize technology. MEET ZOE all electric Renault technological excellence in a compact and attractive design at an affordable price (from € 15,700). ZOE will be available in the end of the year concession. Customers can already book and sleep ZOE on renault-ze.com and thus be part of the VIP guests will receive exclusive content.